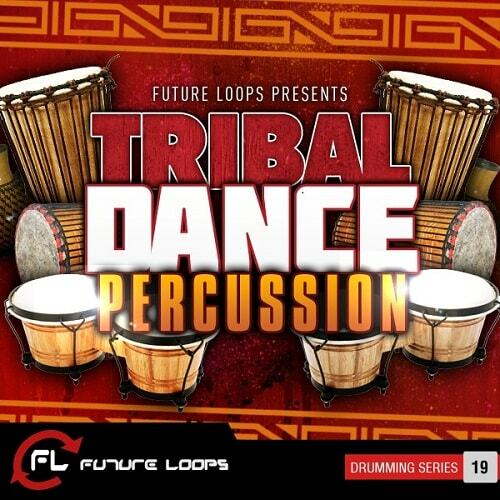 Future Loops is proud to present ‘Tribal Dance Percussion’, an earth-shattering collection of percussion samples and loops that will send your productions into a shamanistic frenzy. This intense mixture of percussion elements results in a highly diverse pack where the possibilities of mixing and groove construction are truly endless and appealing. Tribal Dance Percussion’ features multiple percussion instruments from various parts of the globe that offer authentic tribal tones and powerful exotic percussion grooves that you can effortlessly melt into your mixes: Ashiko, Caxixi, Bongos, Dumbek, Djuns Djuns, Talking Drums and Shekere. ‘Tribal Dance Percussion’ loops were performed at 128 BPM so that they can adapt perfectly to many EDM genres. REX loops are also included for adaptable tempo control so whether you are producing for Dance (Tribal House, Tech, Funky House, Deep House, Progressive, Trance and Techno), Dubstep, Hip Hop or scoring for your next TV or Film project, you can be sure that ‘Tribal Dance Percussion’ is the right choice for royalty-free high impact tribal percussion loops. Besides the ready-to-use and carefully edited loops (WAV & REX) you will also find over 550 percussion one-shots that are just dying for you to get creative and construct new percussion rhythms from the ground up. This exquisite collection of samples features a rich blend of percussion instruments that will add that passionate rhythmic element you’ve been looking to inject in your tracks!